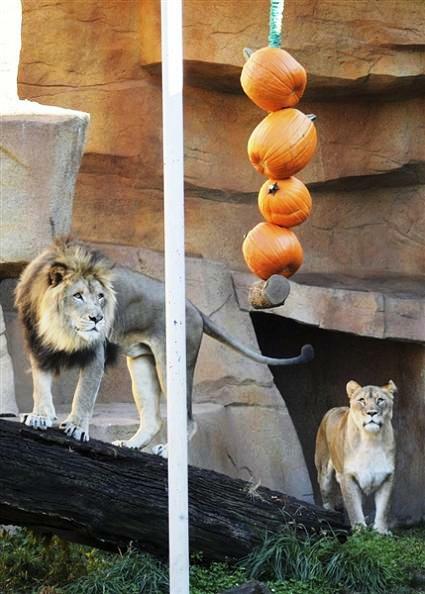 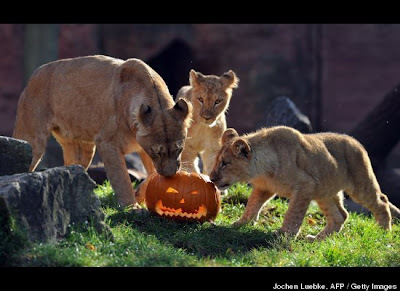 Lion mother Binta (L) and her babies Joco and Zari inspect a jack-o-lantern filled with pieces of meat on Oct. 27, 2011 at the zoo in Hanover, central Germany. 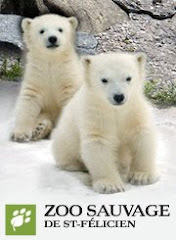 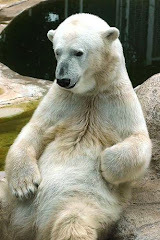 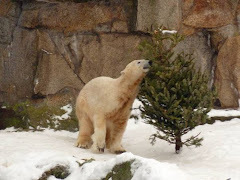 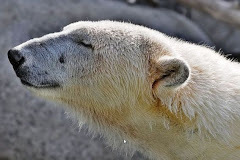 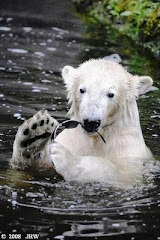 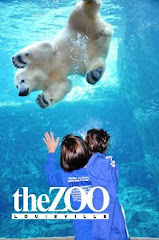 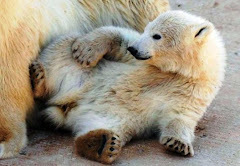 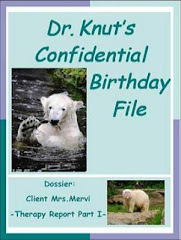 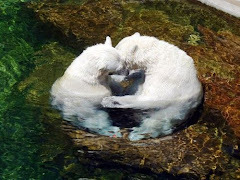 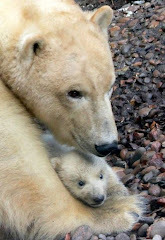 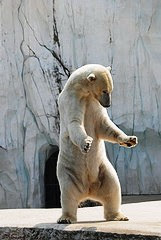 as part of an enrichment program at the Brookfield Zoo. 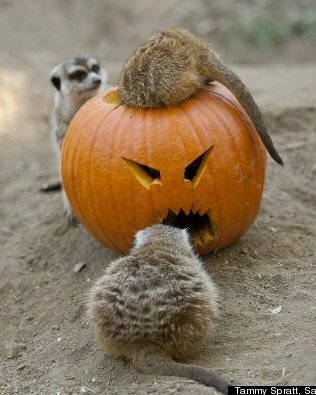 Here courageous meerkats mob a pumpkin spiced up with meal worms placed in their exhibit by San Diego Zoo Safari Park keepers. 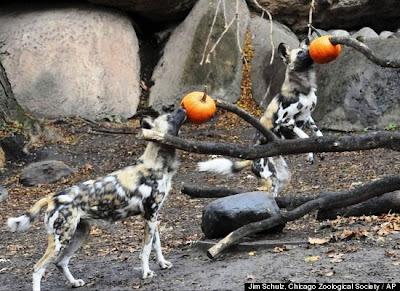 This photo taken Thursday, Oct. 27, 2011 and provided by the Chicago Zoological Society, shows a pair of African wild dogs enjoying Halloween treats at Brookfield Zoo. 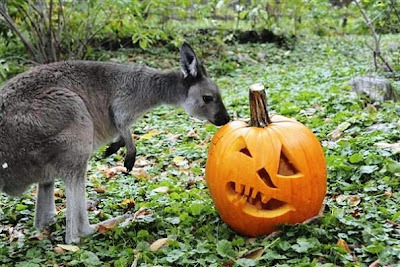 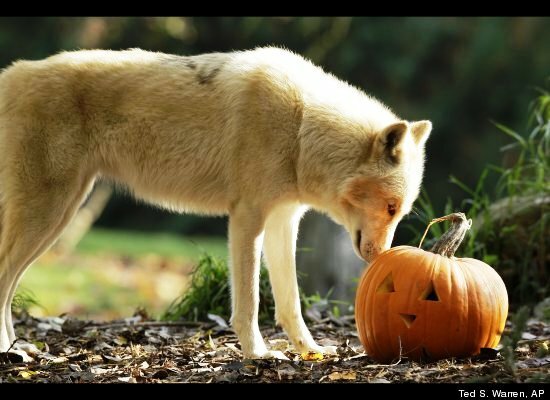 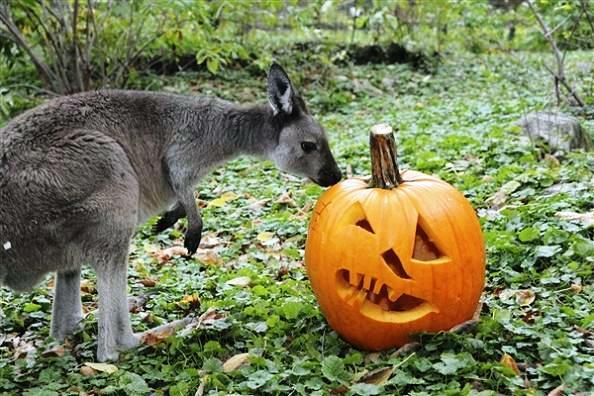 A kangaroo checks out a pumpkin - also at the Brookfield Zoo. 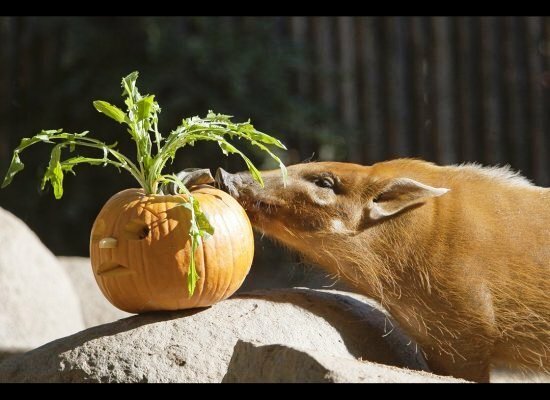 A red river hog sniffs a pumpkin at the San Diego Zoo Safari Park. 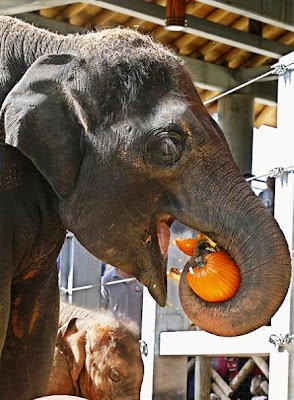 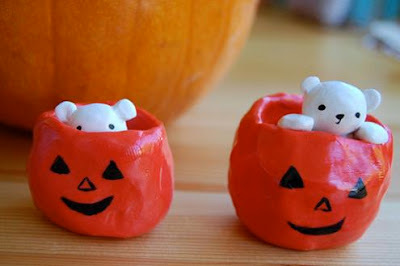 The keepers like to keep the animals happy by putting some greens in the pumpkins. 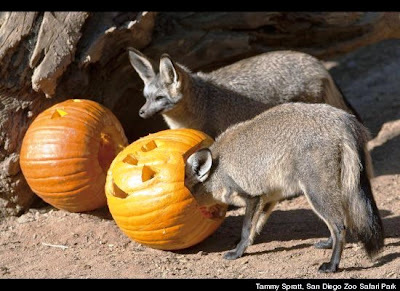 Tony Franceschiello, the senior keeper at the San Diego Zoo Safari Park, says bat-eared foxes get pumpkins that have mice and crickets crawling throughout. 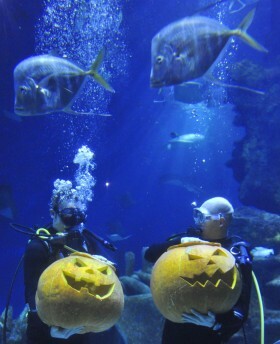 Divers Gareth Calvert (L) and Jamie Oliver pose with pumpkins after a race to carve them underwater in the Ocean Reef Halloween display at the London Aquarium October 27, 2010. 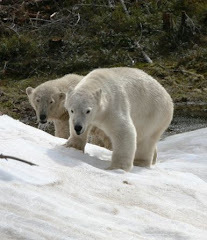 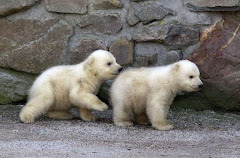 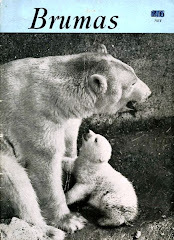 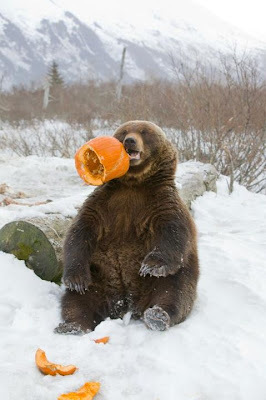 And what about the bigger bears? 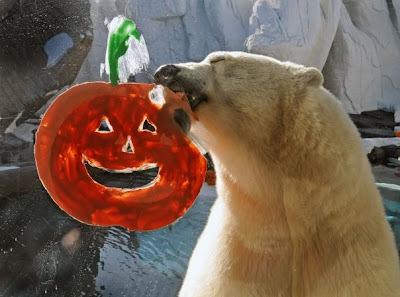 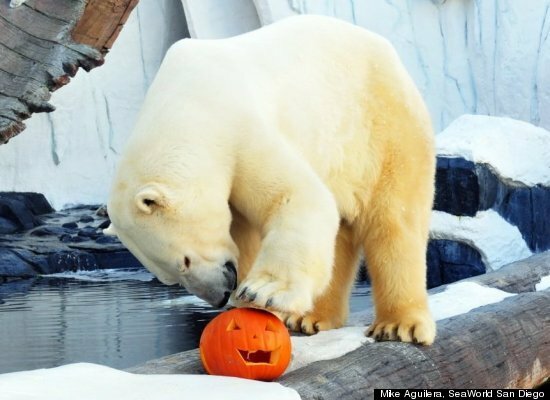 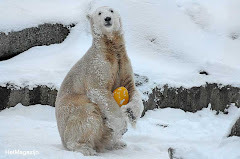 Charly, a polar bear from SeaWorld San Diego's Wild Arctic Exhibit, plays with a carved pumpkin just in time for Halloween. However, he will not actually eat it. 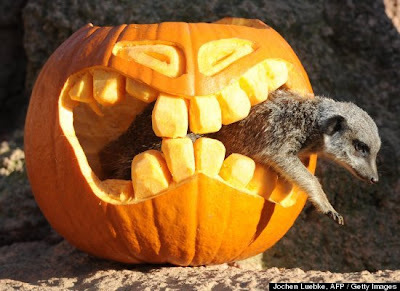 So why not joining in and enjoying yourself tonight...?! 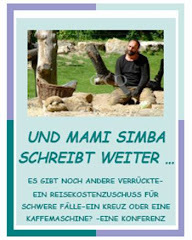 Ja, herrliche Bilder mit so viel Spaß und Neugier an den Kürbissen. 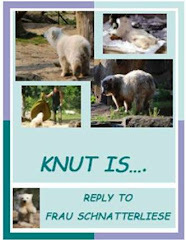 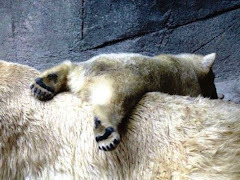 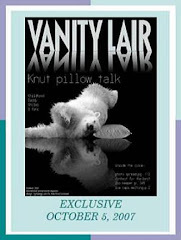 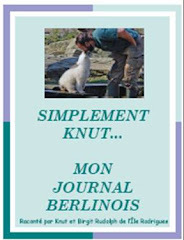 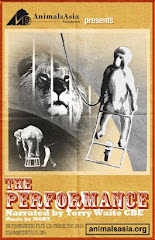 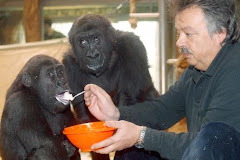 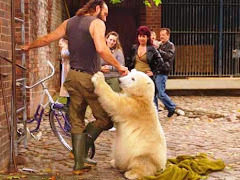 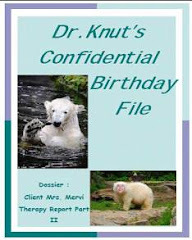 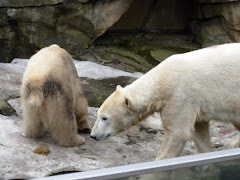 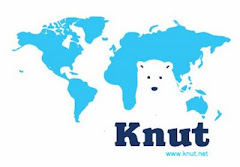 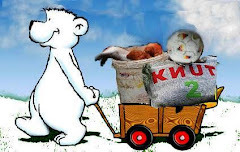 Knuts Begeisterung an einer solchen Überraschung kann man sich gut vorstellen - aber auf so eine Idee kommt man in unseren Zoos ja nicht - sehr schade. 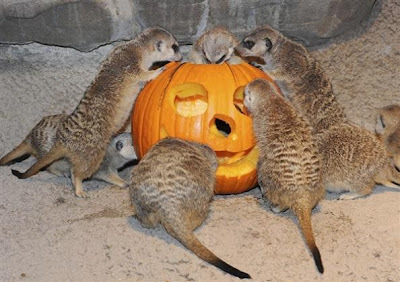 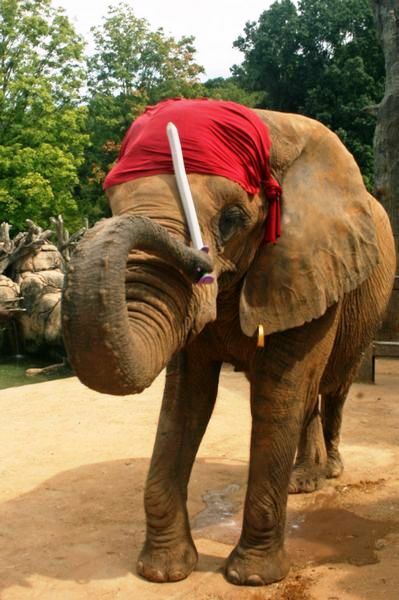 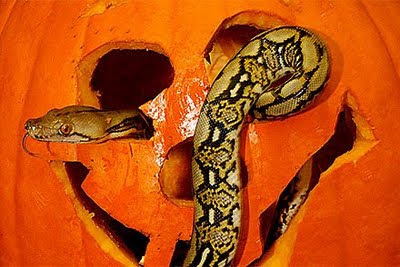 Doch, im Kölner Zoo gab es heute eine Halloween-Nacht mit vielen Gruselgestalten. 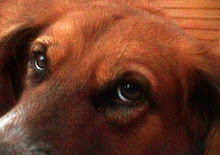 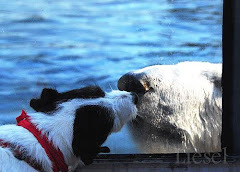 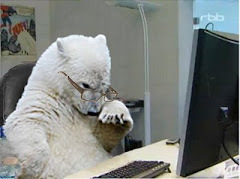 Ob die Tiere auch Kürbisse bekommen haben so wie auf Deinen Bildern, ging aus dem Bericht nicht hervor. 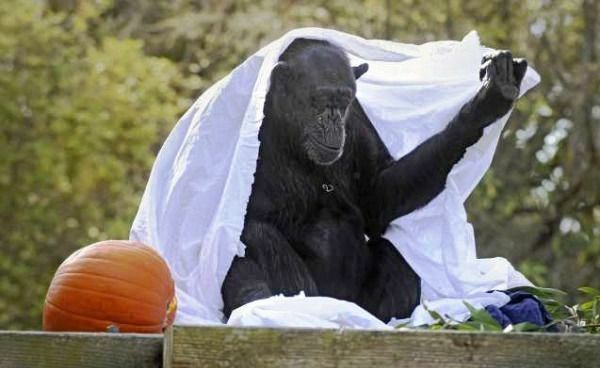 Gruselfreie Grüße aus einem herbstlich warmen und sonnigen Deutschland. 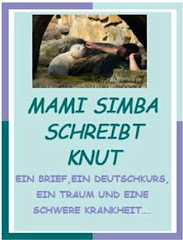 sonst musst du mal "ErlebniszooHannover youtube" googeln. 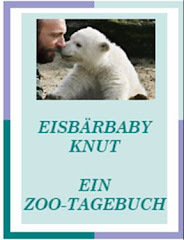 Doch, auch in unseren Zoos gibt es sowas.Z.B. 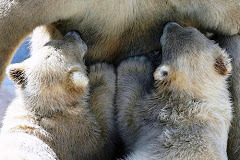 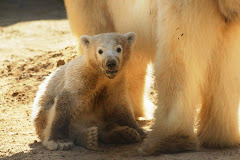 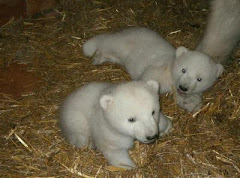 bekamen die Kamtschatkabärchen in Hagenbecks Tierpark gruselige Kürbisse.